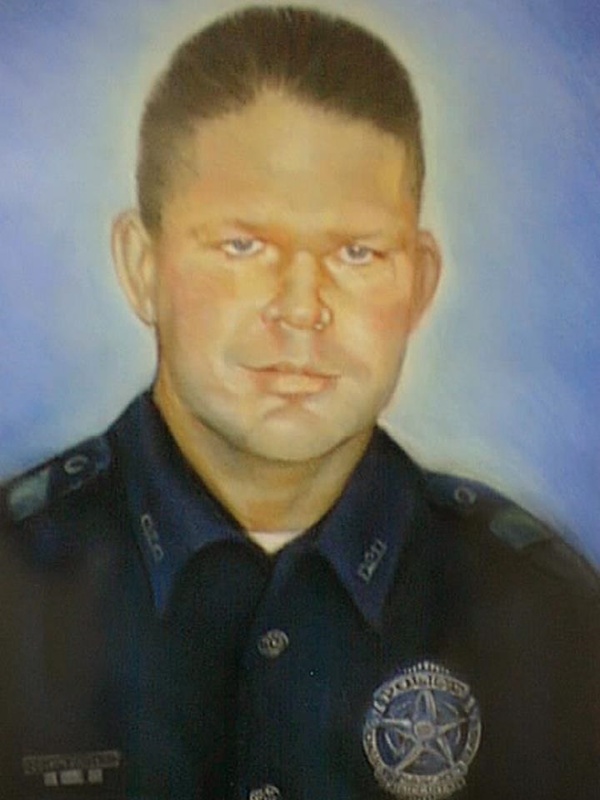 Police Officer Patrick Metzler was killed when his patrol car was struck from behind by a drunk driver while providing traffic control at a construction site at North Central Expressway and LBJ Freeway at approximately 1:00 am. The vehicle that struck him had first passed a construction truck with an arrow indicator, and then the vehicle went back into the right hand lane where it rammed into the back of his patrol car, killing Officer Metzler instantly. The patrol car burst into flames as a result of the collision. Officer Metzler was working an overtime detail at the time. The drunk driver was convicted of vehicular manslaughter and sentenced to 15 years in prison. 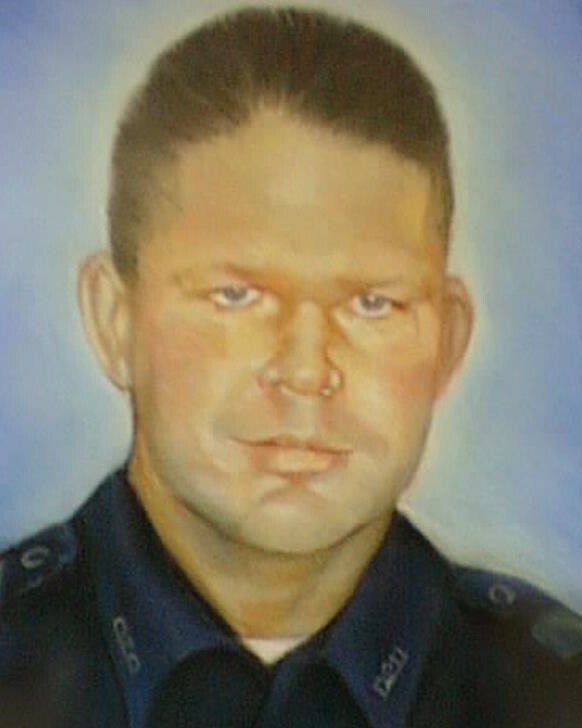 Officer Metzler was a U.S. Air Force veteran. He had served with the Dallas Police Department for eight years, and was assigned to the Gang Unit. He is survived by his parents, sister, and a brother who is a police officer in Colorado. I knew Pat back in the late 90’s when he was a customer of mine at Classic BMW in Richardson. It still to this day saddens me that such a great man was taken away from his loved ones. I’m not family or anything but I will always remember Pat because he was such a genuinely nice guy. Rest In Peace Pat.